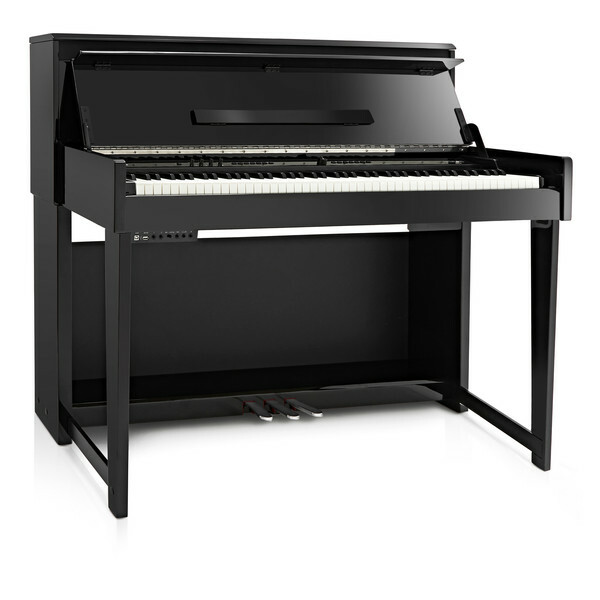 The DP-90U digital piano by Gear4music is an 88 note hammer action instrument with an authentic looking upright body in a polished ebony finish. 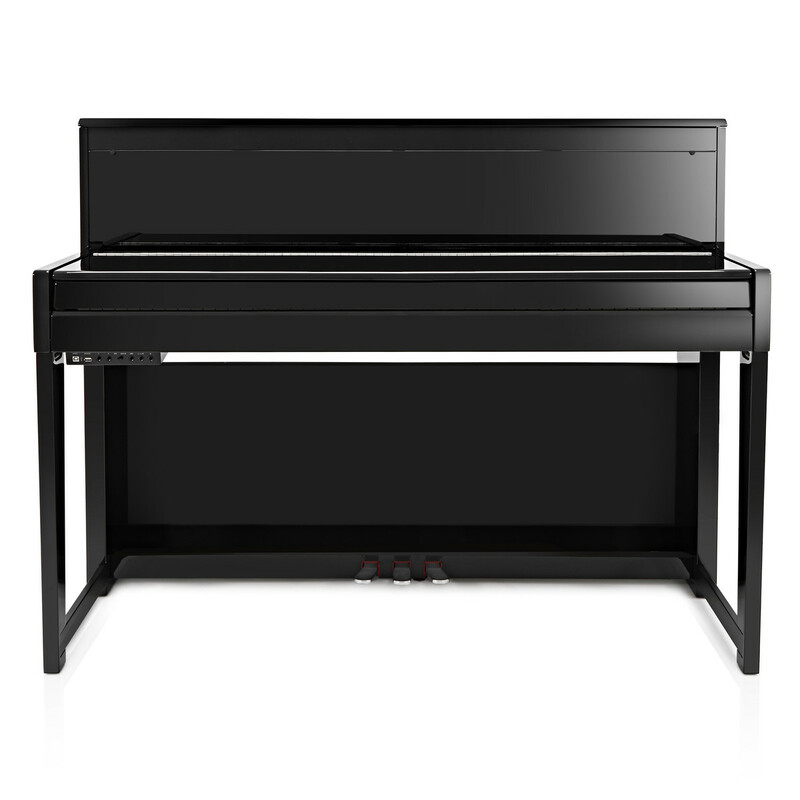 Featuring an upgraded hammer action keybed with 256 note polyphony, and 40 realistic voices, this piano feels and sounds fantastic. Two headphone outputs make it suitable for home learning and the microphone input and stereo jack output equips the instrument for live performance too. 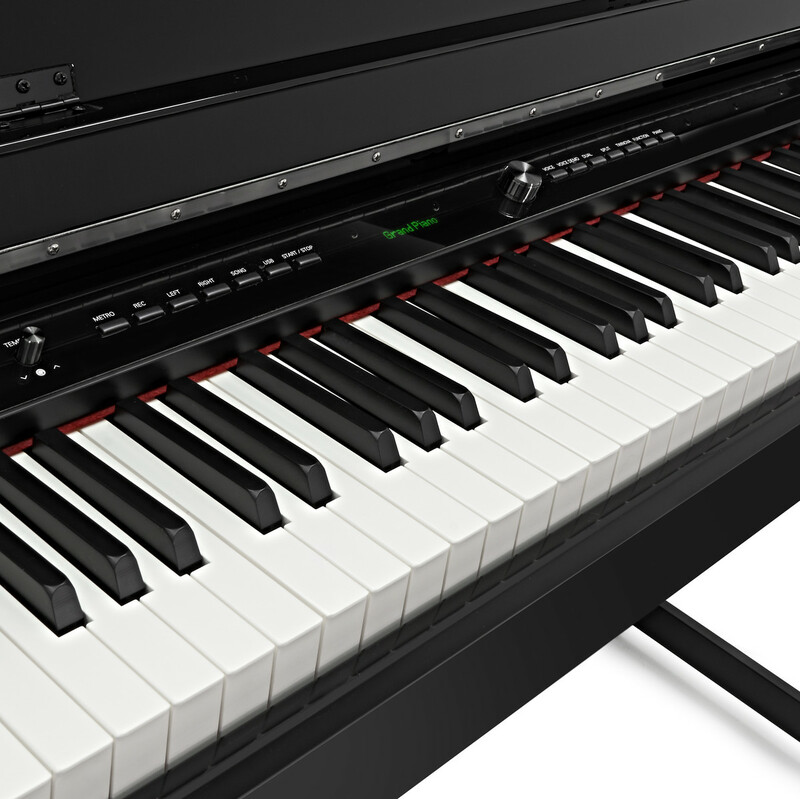 The DP-90 digital piano features a new and improved hammer action keybed, giving a superior authentic feel and touch. The ivory and ebony effect keys have a matt finish, which provide more grip, particularly in faster passages of music. The graded hammer action creates a feel similar to an acoustic piano, where the lower notes are heavier and have more resistance than the higher pitched notes. Three sensors per note increase velocity sensitivity and also captures every nuance of a performance of rapid playing. A polyphony extended to 256 notes means that even the most complex piano works can be performed on this instrument without the loss of any notes. This digital piano features 40 high quality voices including pianos, organs, orchestral and world instruments. The flagship sounds have been carefully sampled and crafted to give a lifelike and realistic tone with soul, warmth and colour that capture the nuances of every performance. 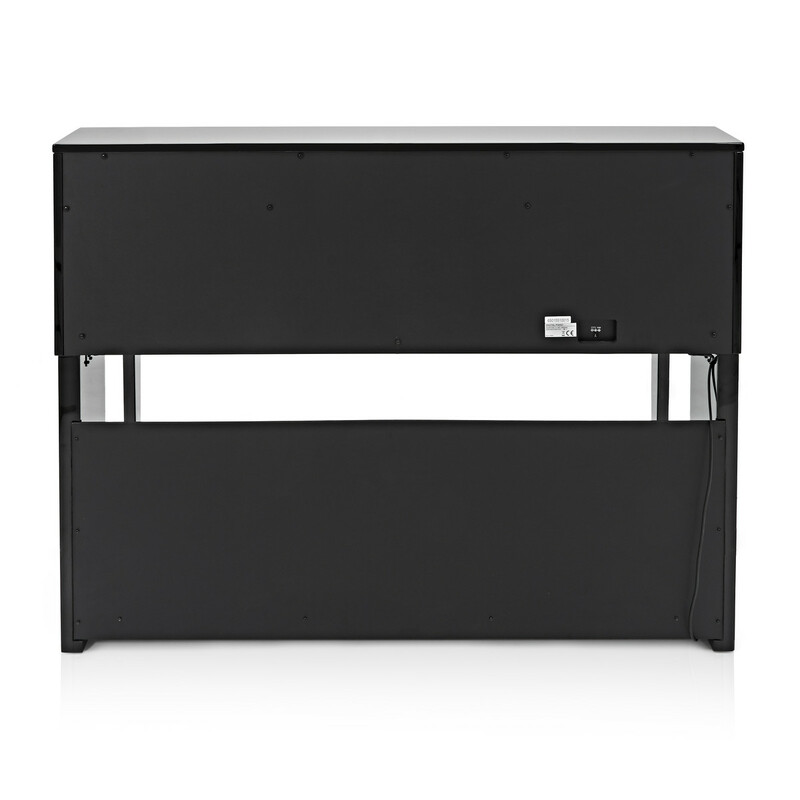 Whether this digital piano is being used at home, in a school or other public place, the cabinet is built not only to be extremely durable but also to look great in whatever scenario. The raised back on the DP-90U gives it the classic upright piano feel. 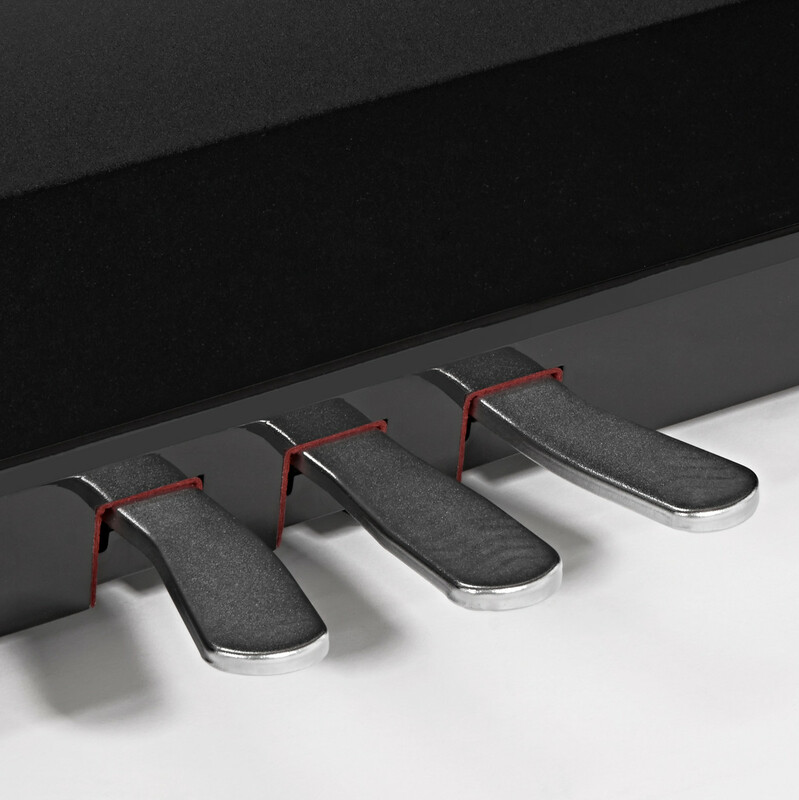 The piano lid features a 'soft close' mechanism, buffering the lid before it meets the key bed. This makes it practically impossible to accidentally drop the lid. Added on to the underside of the lid is a music rest, suitable to hold all kinds of sheet music with ease. The DP-90U includes two headphone ports for silent playing, even when playing as a duet. This superb device is an ideal teaching and learning tool. 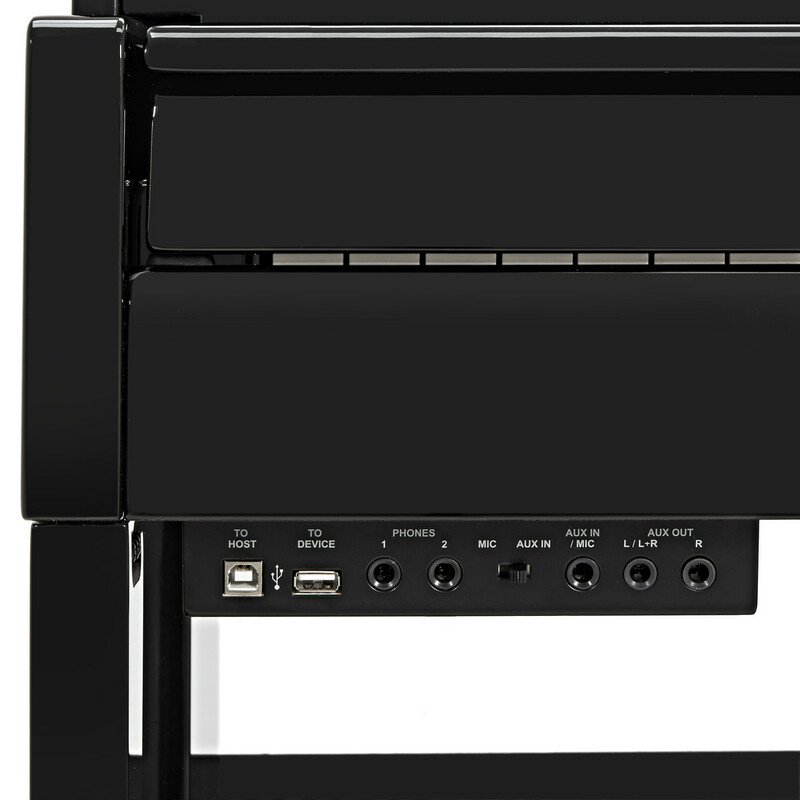 For stage and recording performances, the piano features a stereo jack output for stereo playing in to a mixer or PA system. A microphone/auxiliary input with added individual volume control is ideal for condenser microphone use on stage or for playing along to your favourite tracks. The USB storage device allows you to record all your performances to a pen drive and the USB out can be connected to a computer for MIDI recording.